"The Filipino Flash" Nonito Donaire experienced his third career loss this time against the Jamaican Boxer Nicholas Walters in their featherweight bout a while ago in Carson, California. Donaire's fans got surprised when the Filipino Flash fell down in the 6th round and eventually succumbed to defeat at the hands of the Jamaican Fighter via Technical Knockout (TKO). It was the sharp overhand right from Walter with less than 10 seconds left in Round 6 that sent Donaire grimacing to the canvas. Filipino boxing fans can't help but speculate that Walters, a.k.a. "Axe Man" was too good and too strong for Donaire. 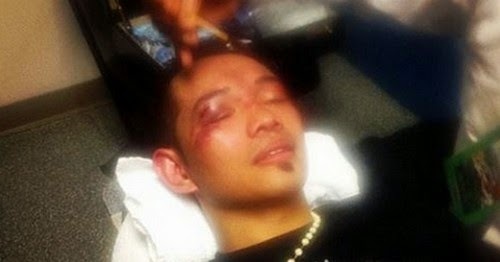 Donaire tried to stand up and continue to fight after 9 seconds, but the referee deemed it necessary to stop the fight because of Nonito's condition. Walters was eventually hailed as the winner via TKO. He now has 25 wins and no loss. 21 of his wins were via knockout. Donaire on the other hand now has a 33-3 win-loss record.